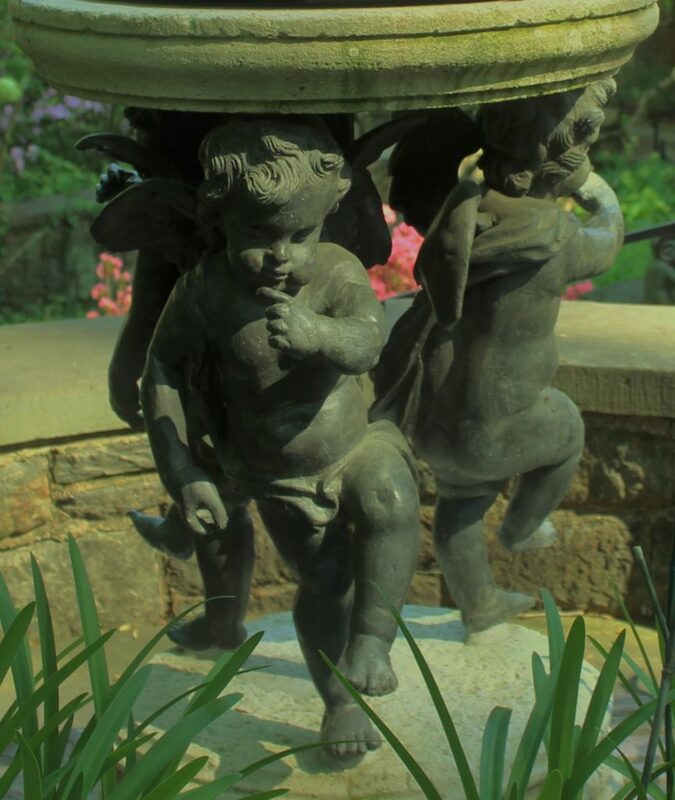 You may remember the first leg of our journey to three of the du Pont estates, in and around Wilmington, started with Longwood gardens. All three of these spectacular estates incorporate extensive gardens and that was the major inspirational motive for T2H2, The Two Happy Husbands Leo and Iory, to traipse off on the North Eastern Regional Amtrak and see for ourselves the wonders of “America’s garden capital.” Come with me and meander the paradise byways of Winterthur a gift to the people and an expression of all that is great about the USA. 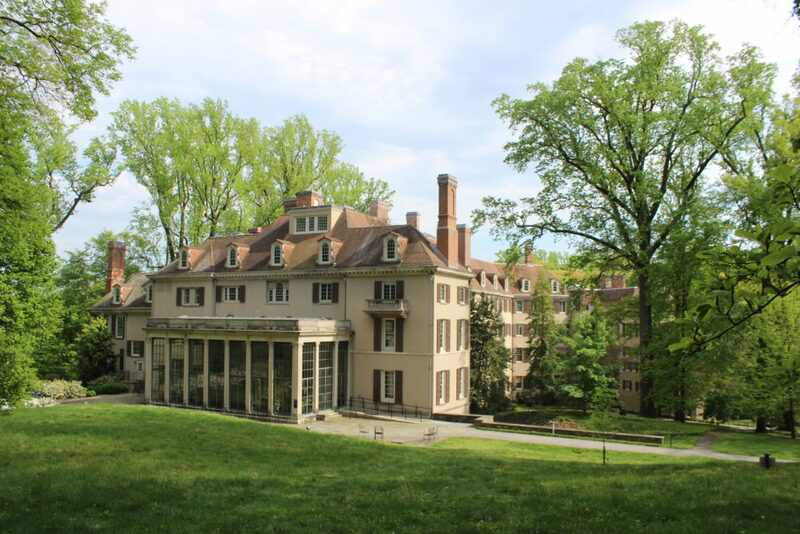 Winterthur is one of the great du Pont estates of Wilmington, Delaware. This is a view of the Museum that evolved from the original home built in 1839. Over generations a number of renovations beginning in 1880’s continued with major additions throughout the 1920’s and 30’s. These alterations to the house eventually grew to a grand total of 175 rooms. The entire collection is devoted to historic American architectural interiors filled with exquisite American antique furnishings and decorative arts. In my photo we see the original entrance façade radically transforming the porte cochere into a glass enclosed conservatory. Henry Francis du Pont developed a life long passion for collecting and displaying his vast collection of American antiques in “historic” room settings that he fashioned from authentic architectural interiors and carefully researched fabrications. In this way he created appropriate settings for the enjoyment of his family and friends, eventually opening the home as a museum to the general public and scholars in 1951. 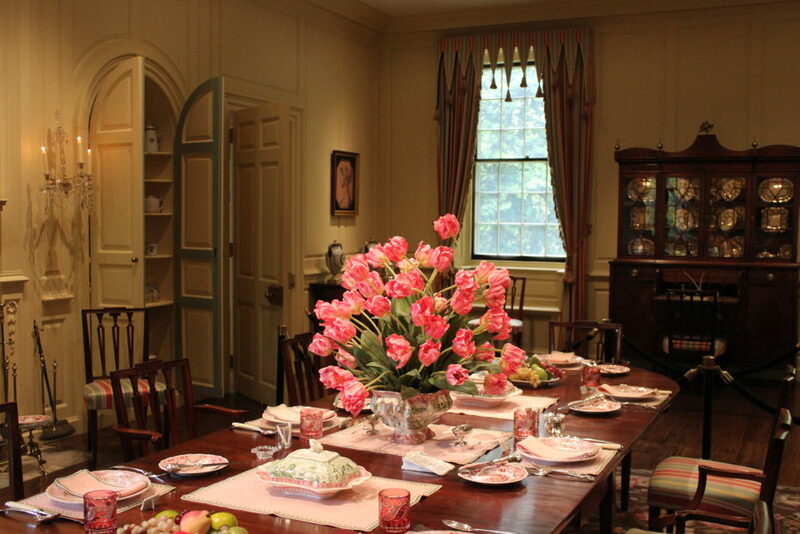 Mr. du Pont was a fanatic for elaborate table settings appropriate to the lavish entertaining of his era. His other abiding interest was for flowers and gardens and here we see a magnificent display of pink tulips grown on the estate, picked and arranged the morning of our visit. 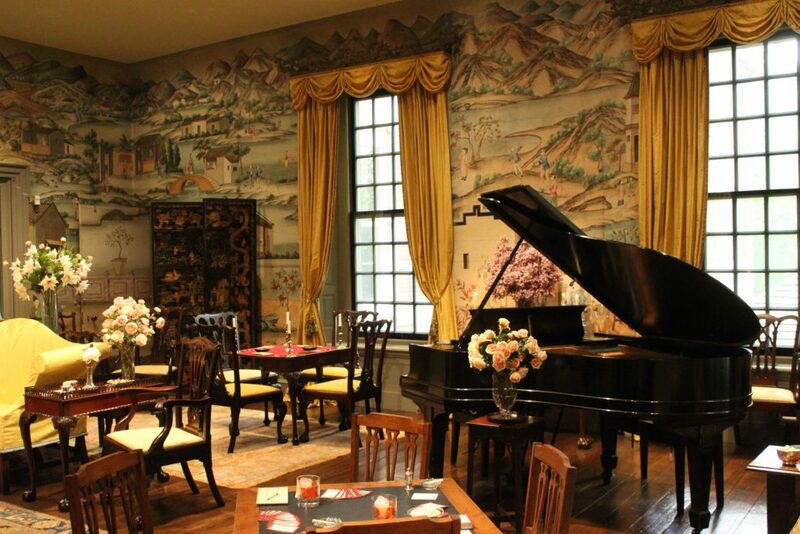 The Chinese Parlor enjoys a historic wallpaper made in China in the 18th century. The card table in the foreground is set up for Bridge (a favorite game of Henry Francis and his family.) Completing the lived-in look are full cocktail glasses and cigarettes in the ashtrays. In addition to these “homey” touches the room is awash with lovely bouquets of flowers fresh from the greenhouses. 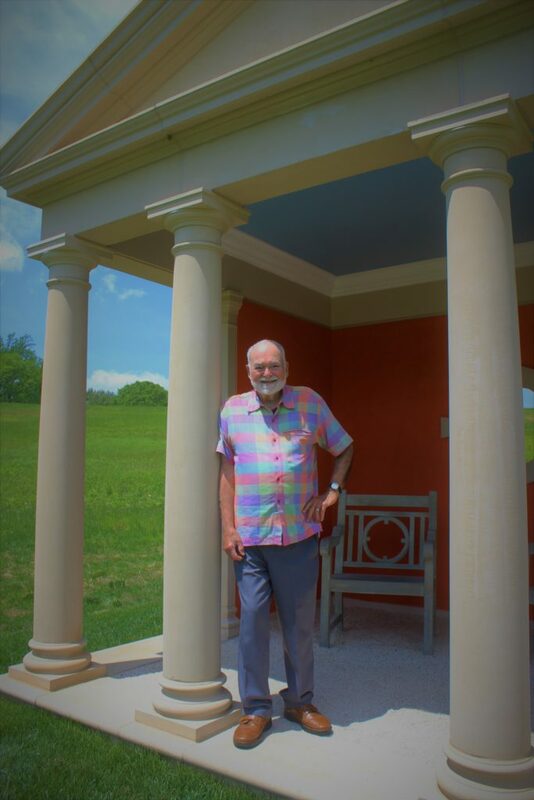 The ever-charming Mr. Leo posing for me in one of the seasonal garden follies that are now decorating the landscape of Winterthur estate until January 5, 2020. This particular neo-classical temple folly is a handsome construction with attractive colors that seem made especially for my hubbie’s costume. 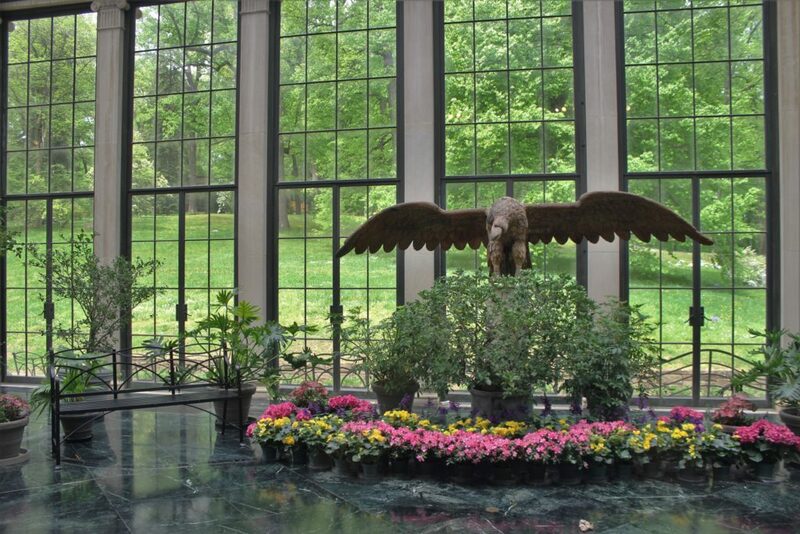 Henry Francis du Pont created extensive gardens all planted in a “natural” style. 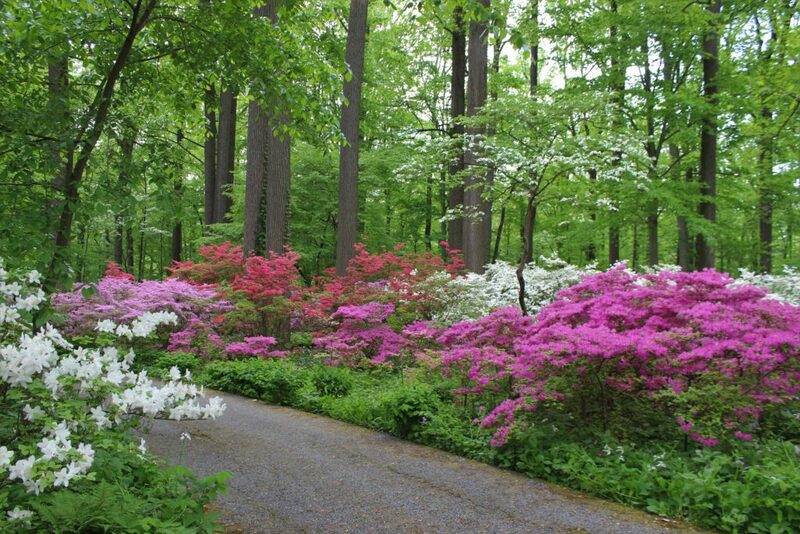 The Azalea Woods is comprised of eight acres beneath a lofty canopy of trees interspersed with flowering dogwoods. The meandering paths delve into the quiet corners of this charming woodlands. 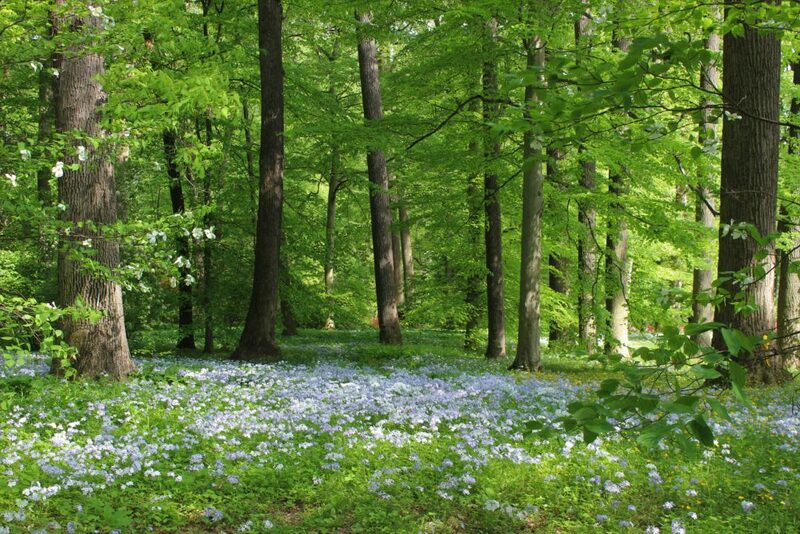 Beneath the towering trees, a carpet of Spanish Bluebells and numerous wildflowers spread out as if preparing for the celebration of a Fairy wedding! 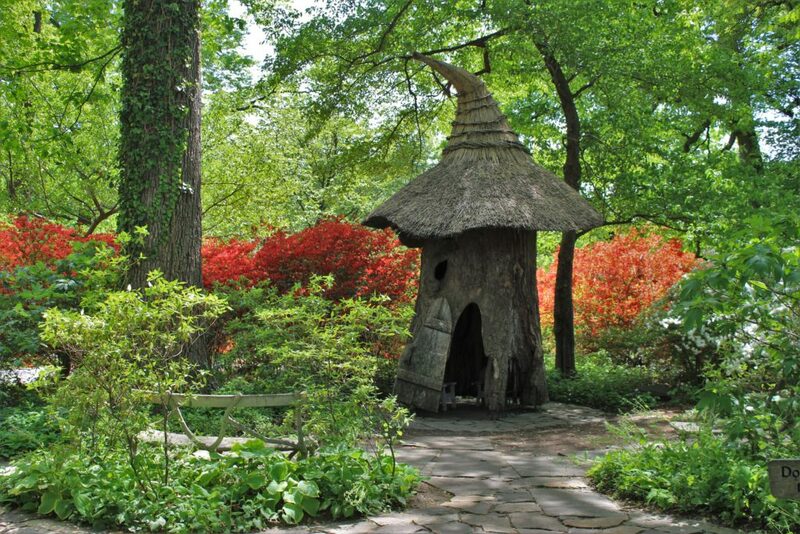 And here is where some of those magical spirits live in the Enchanted Woods, a special garden of magic and whimsey. 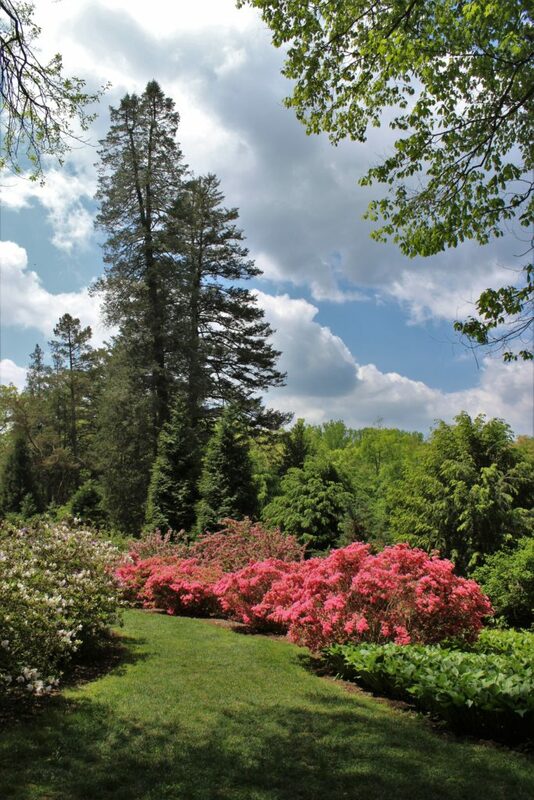 At the edge of Azalea Woods lush green lawns open out with drifts of pink azaleas enticing us to follow along and enter the cool shadows of the Pinetum where a variety of conifers hold majestic place in the undulating landscape – seemingly combing the cloud mountains searching for life giving rain. 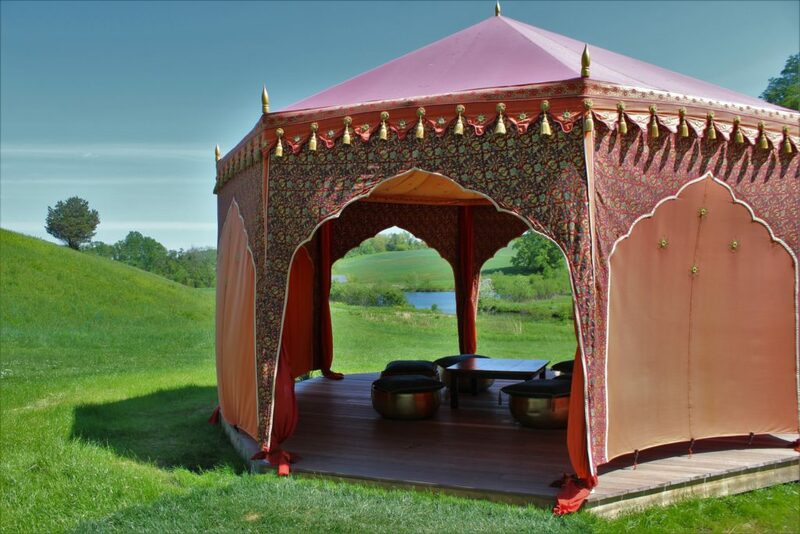 This is my favorite “folly,” The Ottoman Tent. In the cool protected shade overlooking the calm waters of an idyllic pond I can feel the presence of Suleman Pasha listening to a rambling tune played on a stringed Oud as he idly nibbles sweet dates and sips rose petal tea. This entry was posted in Visiting Beautiful Gardens, Winterhur on July 10, 2018 by ioryallison3.